Lewterslounge: Is Pokemon Go Rooted in Traditional MMOs? Is Pokemon Go Rooted in Traditional MMOs? For the last few weeks, the world has been - by and large - gripped by Pokemon Go fever: everyone's playing the AR-based title everywhere, but little do people know that they are in fact partaking in a MMORPG experience, or rather in one which stems from the MMORPG world. Indeed, the roots of the game reach all the way back to what's essentially a still functioning MMO fossil these days: a game known as Meridian59, which was one of the world's first 3D MMORPGs. The link between the two games was drawn up by none other than Niantic founder John Hanke, and if anyone knows anything in this regard, it has to be him. More closely related to Pokemon Go is of course Ingress, a game Hanke worked on back when Niantic was still part of Google, but the idea for Ingress had been sown in his mind way back in his Archetype Interactive days, when he worked on Meridian59. Ingress was launched in 2012, and it was a central part of Google's push into the world of gaming. The Ingress player base was decent and the game collected a treasure-trove of real world data which was needed for its AR and which was also shared with game developers. Needless to say, Ingress is still "powering" Pokemon Go in a way...after all, the currently wildly popular Pokemon game was born from Ingress being meshed with the Pokemons. 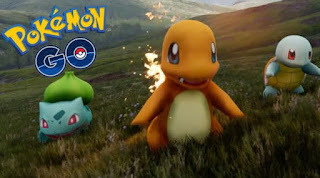 According to Hanke, Pokemon Go will continue to be maintained and supported as an MMO, which essentially means that it is treated as a living, breathing and continuously evolving game, through regular updates and continued support, unlike the iteration-based model of various Pokemon games. The bottom line is that in Pokemon Go, we're dealing with a hybrid, which has apparently retained all the positive features conferred to it by its MMO heritage. Philip Thalberg works on the International 2016 news section of the world's top eSports destination.